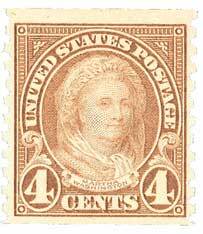 James Monroe’s portrait on U.S. #642 is based on a painting by John Vanderlyn and had been used previously on the 3¢ Louisiana Purchase issue. 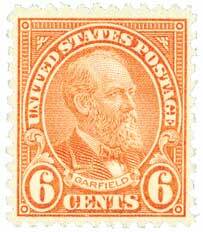 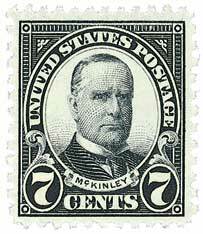 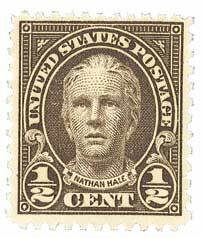 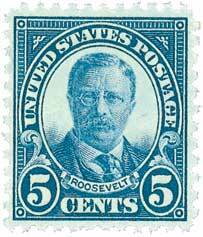 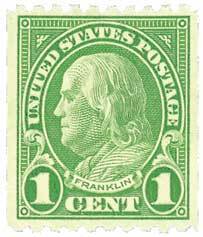 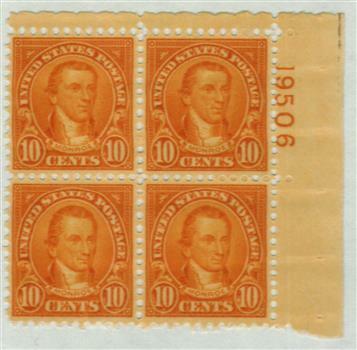 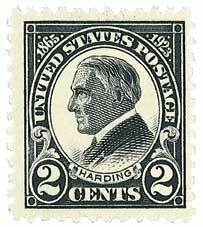 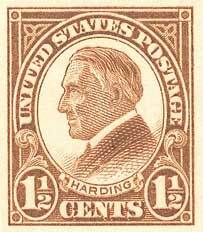 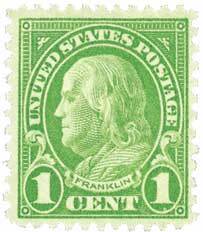 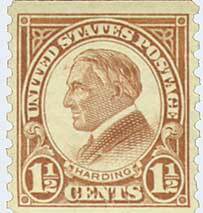 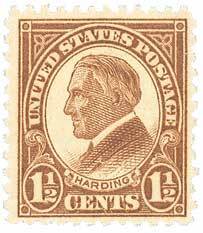 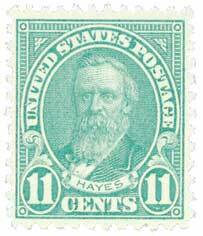 This was one of the first stamps issued featuring the new compound perforations. 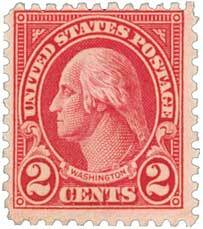 The first was the experimental 2¢ Washington just three months before. 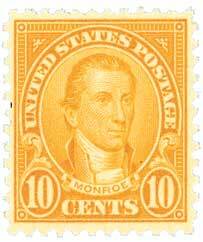 Born in Westmoreland County, Virginia, on April 28, 1758, James Monroe attended Virginia’s College of William and Mary. 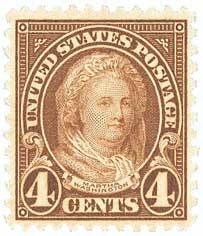 Immediately following graduation in 1776, Monroe became an officer in the Continental Army, where he served under General George Washington. 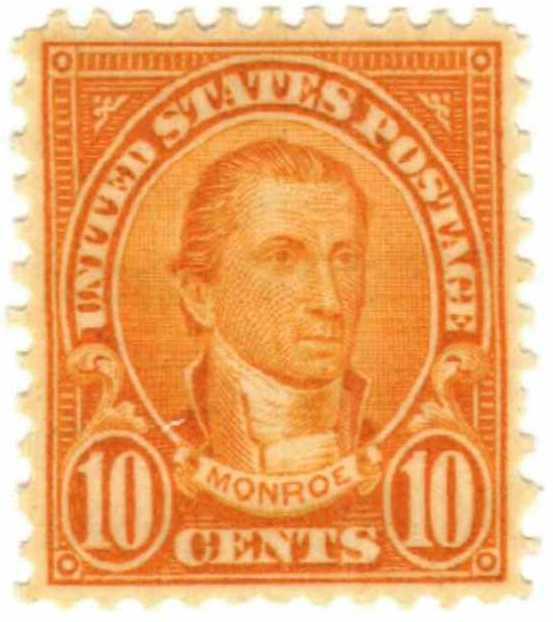 Perhaps what Monroe is most well known for is his Monroe Doctrine, which began as a response to threats from European countries to retake control over American territories. 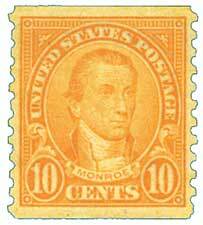 On December 2, 1823, President Monroe addressed Congress with what would later be called the Monroe Doctrine. 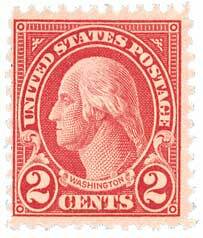 In his speech, Monroe declared to the other major world powers that America would no longer be accessible to European colonization. 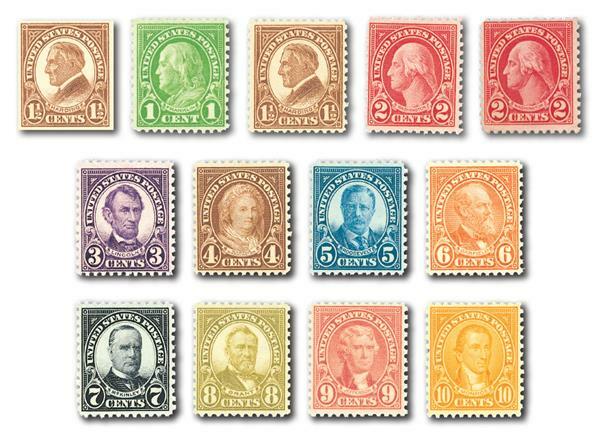 If any European country attempted to impress political influence on America, it would be seen as “dangerous to our peace and safety.” Monroe also stressed that America would stay out of European wars and internal affairs, and expect the same from them. 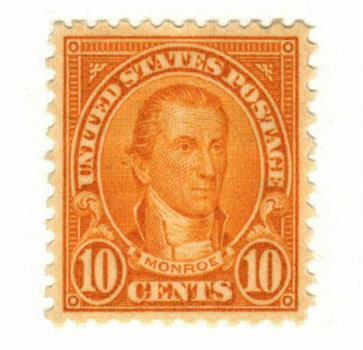 After more than 40 years serving the public, James Monroe and his wife retired to their estate in Loudoun County, Virginia. 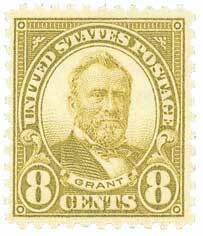 Deeply in debt from his years in public service, Monroe requested that the government ease his financial burden by repaying him for past services. 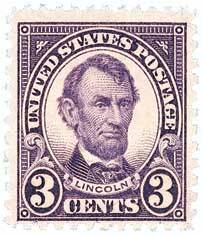 They eventually obliged, paying him a portion of what he requested. 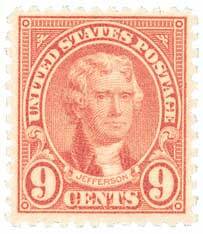 Following his wife’s death in 1830, Monroe moved to New York City to live with his daughter Maria. 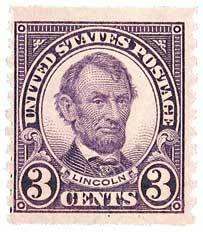 On July 4, 1831, James Monroe became the third U.S. President to die on Independence Day.